AJE ‘Use Your Stash” Challenge Reveal. 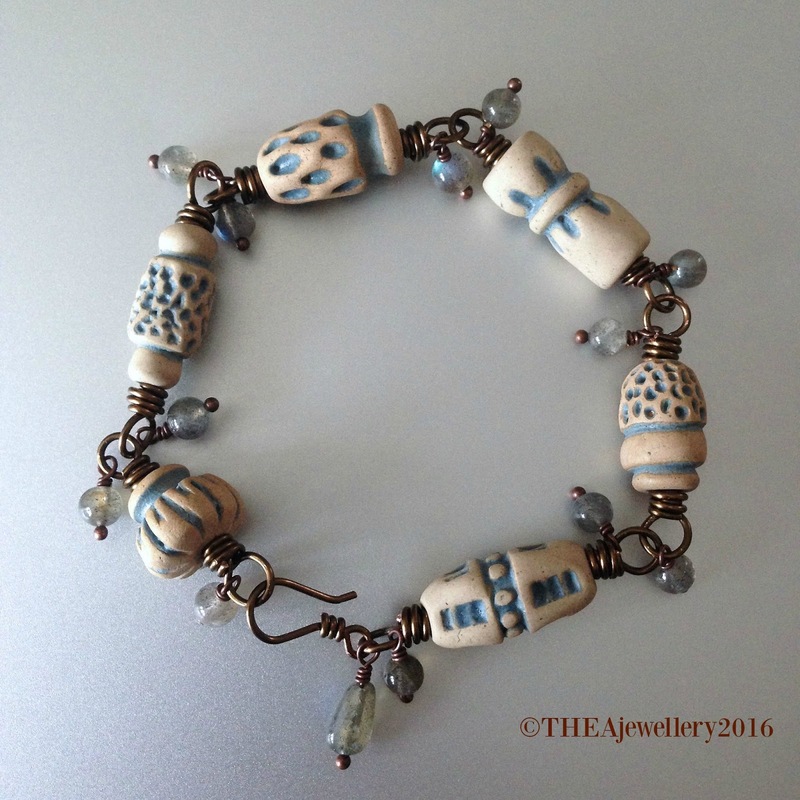 For this months AJE challenge, instead of working with a specific component we were charges with getting into our bead stashes and designing with something we already have. This is a good way to to get yourself going after the new year especially if like me, you creative motivation has gone into hibernation! 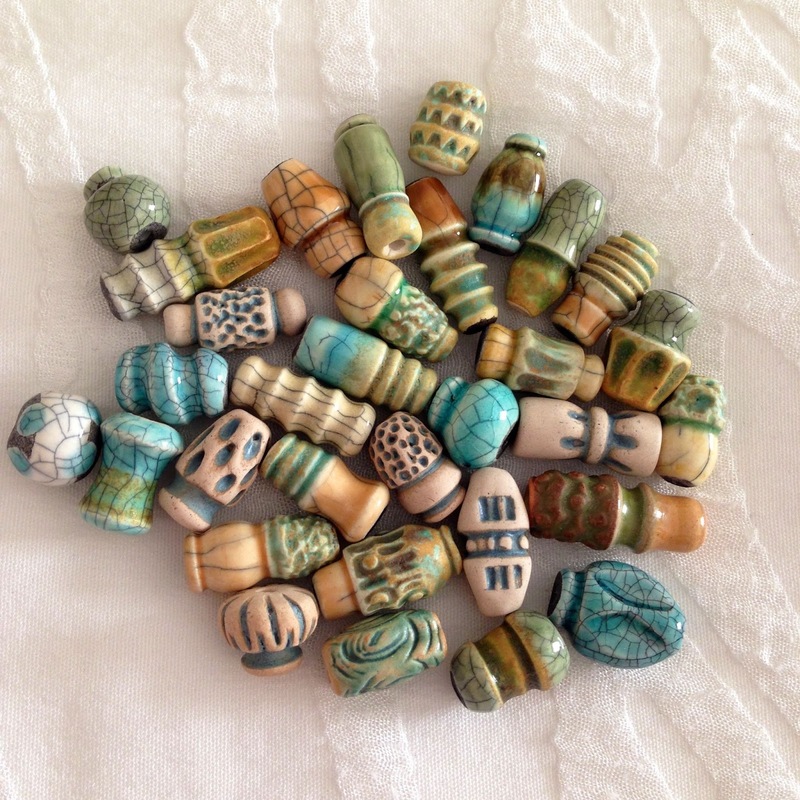 I bought these beads from Tracey Seder Donoughe at Bead Fest and I absolutely adore them. So much so that when I go to my stash I invariably spend time just looking at them still amazed at the incredible detail with each one like a tiny little vessel. They are also extremely tactile have the most wonderful feel to them that just makes you want to touch them. It suddenly occurred to me that if I turned some of these into a bracelet then they would be there to see and touch whenever I was wearing it…almost like worry beads I guess. I pulled out half a dozen of the blue cream beads because they pair well with my daily uniform of jeans and would therefore get lots of wear. It’s a fairly simple design with the beads wire wrapped and linked to each other and I’ve interspersed them with labradorite dangles to give some fluidity and movement to the piece. I’m pretty happy with it and am keen now to do something with the rest of Tracie’s beads. I also managed to whip up a quick pair of earrings using some of my AJE team stash. 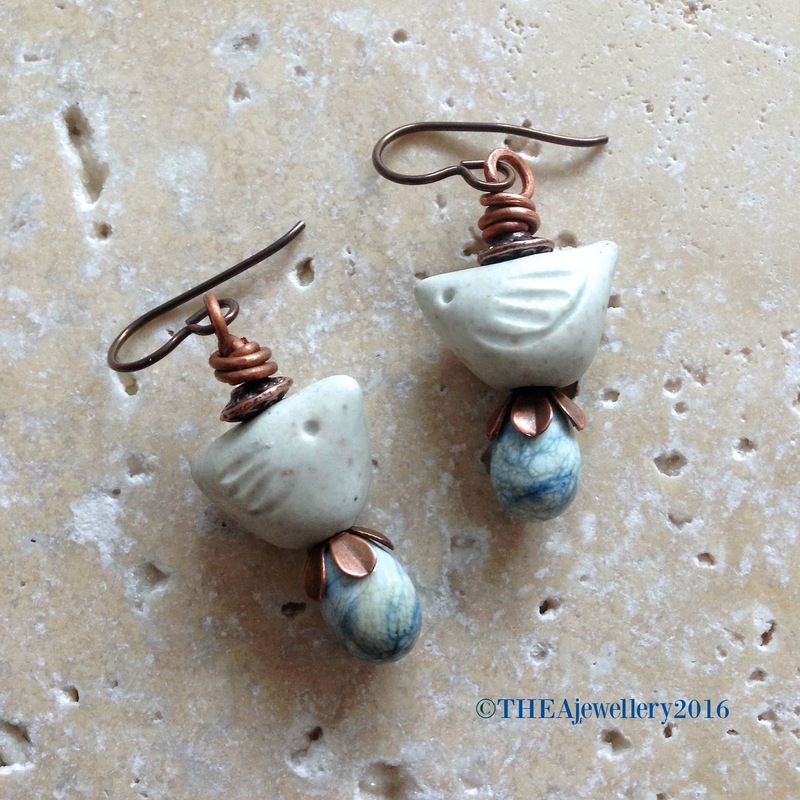 I have a whole flock of Caroline’s bird beads and I recently acquired some egg shaped lampwork headpins from Jen Cameron in a beautiful mottle glass – a perfect match for these cute little earrings. 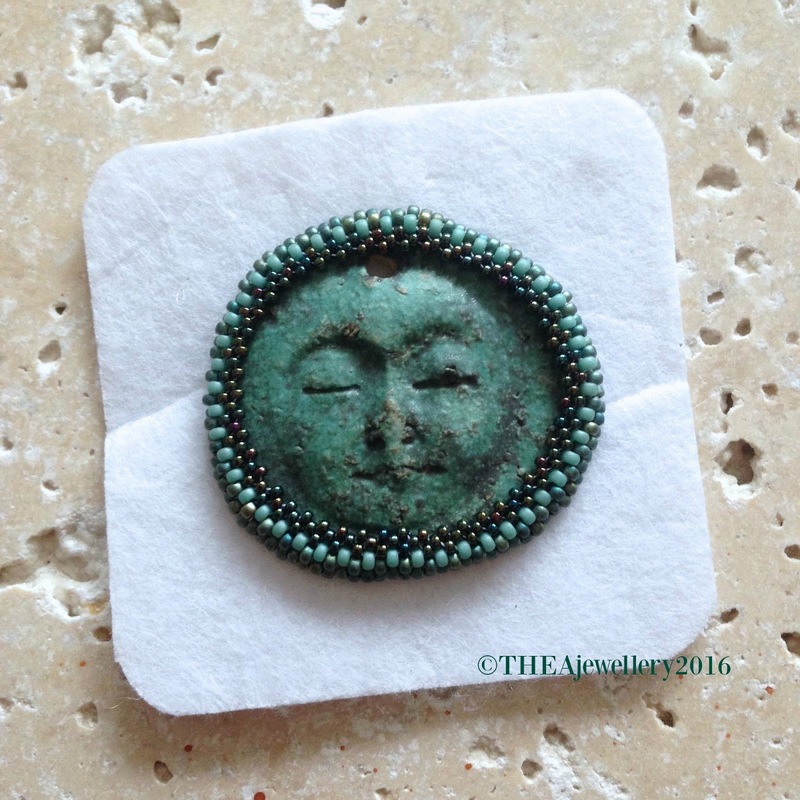 I wash also hoping to have a third piece finished for this challenge but life intervened so this beaded piece with a wonderful focal by Birgitta Legonkou is a work in progress. The theme for this is serenity and I’ll come back and share it when I do get finished. In the meantime I hope you will take a little time to follow out blog hop and see what our guest designers and the rest of the AJE team have created for this months challenge – just use the links below. Happy hopping!